71 years ago today, on Saturday, February 3, 1940 TV journalist Jim Hartz was born in Tulsa, Oklahoma. 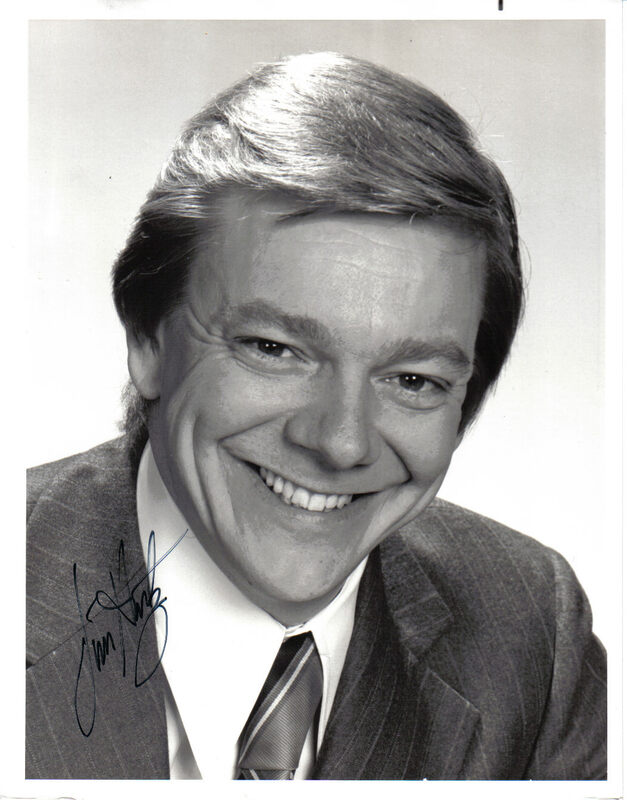 Autographed photo of Jim Hartz from the 1970s. Within two years Jim Hartz was named news director at KOTV, but he left a short time later for the big time in New York City. Hartz joined WNBC in 1964 where he remained a news anchor for ten years. In April 1974 Hartz was picked to replace Frank McGee as co-host of “The Today Show” on the NBC network. He co-hosted with Barbara Walters, but when she left in 1976 to co-anchor “ABC Evening News” with Harry Reasoner, NBC replaced them both with Tom Brokaw and Jane Pauley. Hartz earned five Emmy Awards and two Ace Awards for excellence in cable television. He has also been inducted into the University of Tulsa Communication Hall of Fame, the Oklahoma Hall of Fame, the Oklahoma Association of Broadcasters Hall of Fame, and the Oklahoma Journalism Hall of Fame. Jim Hartz turns 71 today, February 3, 2011.